FOUNTAIN VALLEY, Calif., Dec. 14, 2016 — Pedego® Electric Bikes, the Number 1 electric bike brand in the United States, is known for its customer service and quality products. Each year, the company recognizes the Pedego Electric Bikes dealers across the United States who have distinguished themselves in customer experience, store design, sales and/or successful community outreach. The nation’s Top 10 Pedego dealers for 2016 are listed below. 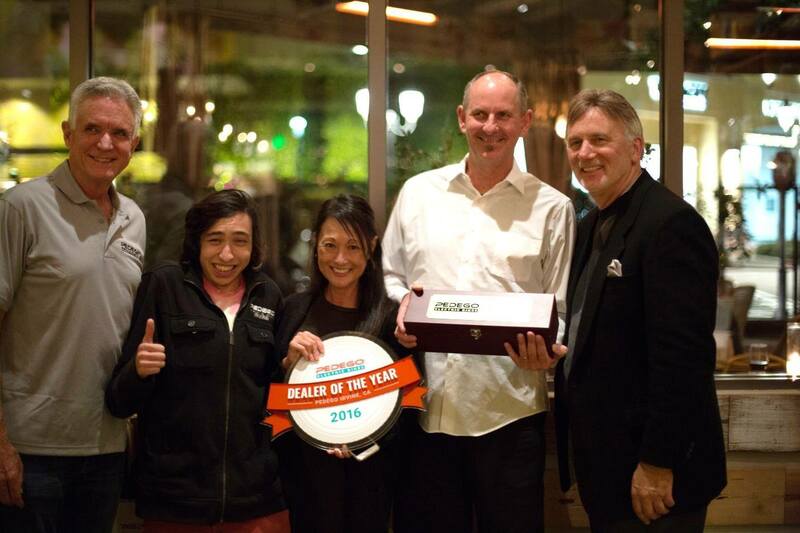 The Number 1 dealer also receives recognition as Pedego’s “Dealer of the Year” — an honor bestowed only to the best-of-the-best Pedego dealers. 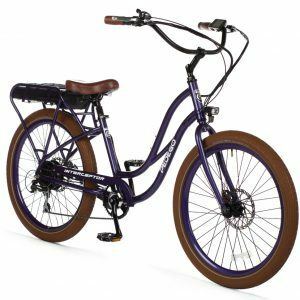 This year, that honor went to Pedego Irvine, co-owned by Bob Bibee, a former engineer whose skills and talents enable him to create amazing electric bike customizations for his customers. Also awarded was “Most Valuable Dealer” for successful community outreach. This year’s winner was Pedego Myrtle Beach, owned by Retired USAF Colonel Aaron Maynard. The entire Maynard family has stepped up to make Pedego Myrtle Beach an outstanding store with a name recognized across the United States. Their social media marketing with cool, colorful bike and location pictures provides a model for other dealers. 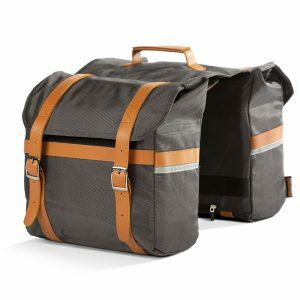 With Pedego’s fast-paced growth, it also recognizes newcomers. Pedego awarded “Rookie of the Year” to Pedego Spring Lake, owned by father-son team Gil and Adam Levine. The Pedego Spring Lake team distinguished themselves by creating a Pedego store that has already shown huge success with its colorful, welcoming space. Pedego Spring Lake opened in March 2016. From left, Terry Sherry, Pedego CFO; Shane Bibee, Yolanda Bibee and Bob Bibee of Pedego Irvine; with Don DiCostanzo, Pedego CEO. Pedego Irvine was named the Number 1 Pedego Store in the United States.